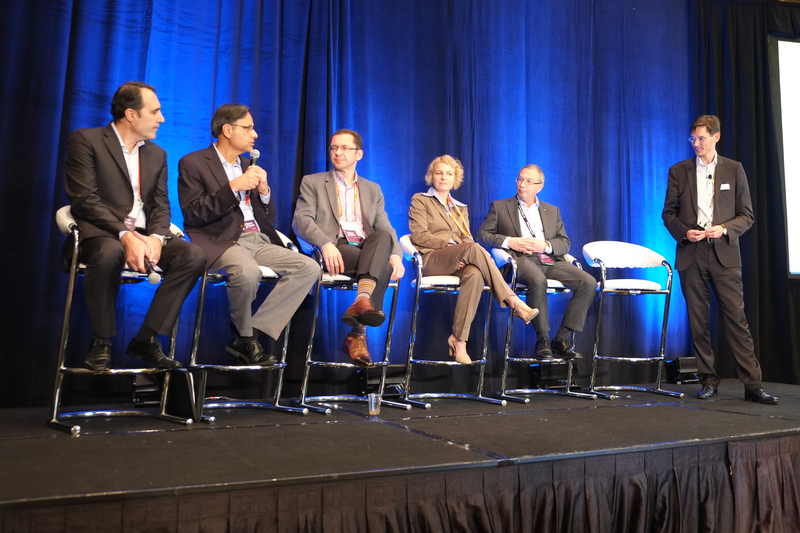 TTTech, the technology leader in robust networked safety controls, hosted a cross-industry discussion panel at the Internet of Things (IoT) World Forum in Chicago. 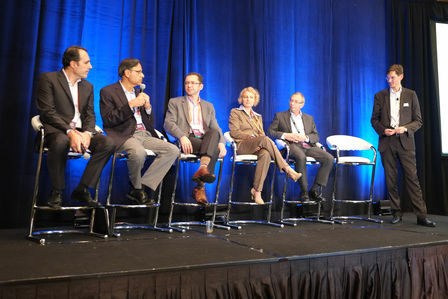 The event brought together thought leaders from Audi, BMW, Cisco, Rockwell Automation and Vestas to discuss “Deterministic Ethernet – Connecting Autonomous Driving to Industrial IoT”. In addition, TTTech launched an Industrial IoT product portfolio, which enables customers to benefit from Guarantee of Service delivered by standard-based Deterministic Ethernet. The panel discussion hosted by Georg Kopetz, co-founder and member of TTTech’s executive board, was focused on the innovations happening in automotive and industrial IoT. In particular the discussion was around how industrial IoT can benefit from the large investments and scale from the automotive industry, using Deterministic Ethernet as a case example. In the panel discussion Mathias Halliger, Chief Architect at Audi, asserted that “within the development of our highly integrated zFAS platform ECU for piloted driving, Deterministic Ethernet enables the building of a safety-critical system by connecting its functional system subcomponents. Furthermore, high-speed Ethernet networks will allow us to design a future-proof system architecture by updating its embedded database over-the-air”. Kirsten Matheus, Ethernet Project Manager at BMW, highlighted that “high-bandwidth, high data rate, redundancy as well as tight loop-control are essential for autonomous driving”. These are all inherent features of Deterministic Ethernet. The panelists discussed that wide usage in the automotive industry might help to accelerate the adoption of Deterministic Ethernet in other industries and in industrial IoT due to economies of scale. Sujeet Chand, Senior Vice President and CTO of Rockwell Automation, noted that ”by transferring automotive technology to the industrial domain we benefit from the scale in automotive leading to cost savings. We are looking forward to the evolving of standards in connection to Deterministic Ethernet”. Maciej Kranz, Vice President at Cisco Corporate Technology Group, concluded that “Deterministic Ethernet is another step in the evolution of Ethernet. The IoT requires more real-time traffic, bigger scale as well as new security and business paradigms. Deterministic Ethernet helps us address these topics”. TTTech’s newly launched industrial IoT product portfolio is enabling wider adoption of standard-based Deterministic Ethernet. The products will address the increasing demand for products designed to integrate critical machines and systems within converged, scalable IoT networks. Georg Kopetz stated that “the IoT product portfolio is a clear sign of TTTech’s commitment to make the industrial Internet of Things real and easy for customers to deploy”.